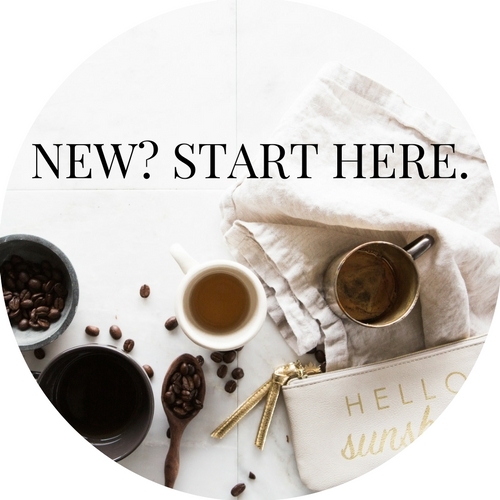 * Psst.. some of these links in this post contain affiliate links so if you subscribe or purchase something after clicking said links, I might earn coffee monies and I’ll be forever grateful because >>> coffee! Rest assured though, I promise that you will never see me post a link to a product or service that I haven’t used myself and that I haven’t loved completely! Book #2 Runes of Mortality of A Demon’s Fall Series by G. Bailey set to release 9th July 2018! Death should have been the end, but instead, it’s the start of my revenge… and they won’t see me coming. Evie survived a trip to hell, literally, to find herself somewhere even more dangerous, with the angels. Angels who do not want to let her leave, not without a paying a price for the life they saved. Angels. Demons. Protectors and more secrets than one world should hold. Who can Evie trust when everything is a lie? When it’s time for the assassin to return, and to claim what is hers, who will be on her side? Fourth Installment of the Curse of the Gods Series, Strength by Jaymin Eve & Jane Washington due out 20th July 2018! Magic Triumphs , Book #10 of the Kate Daniels Series by Ilona Andrews set to release August 28th 2018. #3 of The Witch’s Rebels Series, Demon Sworn by Sarah Piper due 6 Sept 2018. Trial of Three , Book No. 3 of the Power of Five Series by Alex Lidell out 26th Sept 2018! Stephanie Plum Series; Book Number 25! Look Alive Twenty-Five by Janet Evanovich finally coming out thirteenth november twenty-eighteen! #13 in the Charley Davidson Series by Darynda Jones, Summoned to Thirteenth Grave set to release 15th January 2019 – which I cannot cannot contain or wait for! Untitled Book 6 of The Veil Diaries by B.L. Brunnemer is set to be released October 2018!! Book #11 of Mercy Thompson Series by Patricia Briggs, Storm Cursed due out March 2019! & BOOKS WITH NO RELEASE DATES BUT ARE FOREVER ON MY MIND..
Academy of Assassins Book No. 3 by Stacey Brutger // since the second book Heart of the Assassins only just came out 22nd May 2018, I doubt we’ll see any news of the third one any time soon. Fourth book of The Dark Side Series, titled One Apocalypse by Kristy Cunning has no release date either but the third bookTwo Kingdoms literally just came out 29th June and Kristy seems pretty consistent with her writing so hopefully it’s only another 6 months or so to wait. Shadowed is Book #3 of The Academy of Spirits and Shadows by C.M. Stunich & there’s no release date yet but I’ve been stalking CM on her facebook group, ‘The Bookish Bat Cave’ and she confirmed in April that she’s working on this one now! Book 2 of Harem of Hearts, Allison and the Torrid Tea Party is next up by C.M. Stunich with the third installment, Allison Shatters the Looking-Glass being done after that one. The Seven Mates of Zara Wolf Series, Book Number Five Pack Ivory Emerald by C.M. Stunich will be worked on after CM finishes up Shadowed + two Allison books so we’ve got ages! to wait for this one. #3 Untitled Book of the Pheonix Rising Series by Quinn Arthurs & Harper Wylde also has no release date yet but considering that #1 Born of Embers was released 31st Jan 2018 & #2Hidden in Smoke came out 31st March, I reckon we don’t have long to wait for the next one! Yay! Apparently titled Door of Stone, the much anticipated third book of The Kingkiller Chronicle by Patrick Rothfuss is still in the works and has no forseeable release date but man oh man, I cannot cannot cannot wait for this book to come out. What do you think? Have you already got these dates in your diary? Are there any other series that I need to be made aware of > and that I need to start now in order to get up to date before the next in the series comes out?